Being a woman comes with a lot of expectations and difficulties, but your smile should not be something you stress about. Our team at Milnor Orthodontics is comprised entirely of intelligent women who are qualified to help you get the smile of your dreams. There are many different treatment options available, and our goal is to find you the one that works best for you! 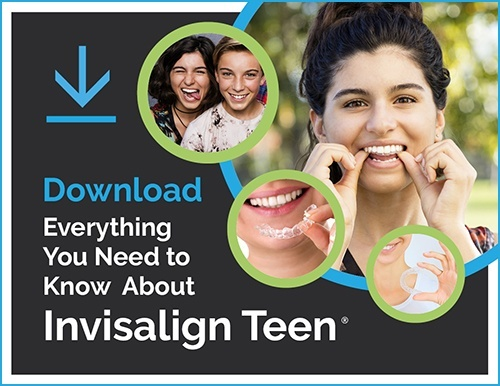 Invisalign is an awesome and relatively new treatment procedure for correcting orthodontic issues, but that does not in any way mean it is any less effective than regular braces. This option offers one very desirable perk: discretion. This is something that can be very enticing to the women of the world since not everyone necessarily wants to draw attention to their orthodontic journey. Invisalign uses sets of clear, removable retainers to gradually move your teeth into their optimal positions. Little ceramic pieces called “buttons” can be attached to certain teeth to provide more precise movement. (Don’t worry, they’re almost entirely invisible too!) Some very well-known female celebrities have opted for this method of straightening their teeth. Personalities like Khloe Kardashian, Katherine Heigl, Serena Williams and so many more have discreetly straightened their pearly whites using Invisalign. It’s an amazing option to get the smile of your dreams! Of course, another option for straightening your teeth is the more typical route…braces. There are a few (although uncommon) orthodontic issues that Invisalign may not be able to fix. If your orthodontist tells you Invisalign isn’t the best option for you, have no shame in the brace game! Braces are a timeless and effective way to straighten your teeth. There are two different options when it comes to braces. The more discreet option is clear braces, which are almost as discreet as Invisalign. So don’t worry, even if you aren’t doing treatment with Invisalign, discretion is still within reach. Typical silver braces (what you probably picture in your head when you hear the word “braces”) are also an option if discretion isn’t a concern for you. Some powerful female celebrities who opted for this more conventional method of smile perfection are Emma Watson, Gwen Stefani, Kendall Jenner, and many more. Braces were a great option for them, and they can be a great option for you as well. Whether you’re a hard-working mother or a hard-working student, you should not hesitate to start treatment. There is no age that is too young or too old to start feeling confident in your smile. Confidence is a characteristic that will get you far in life, and if straightening your smile can help with that, we’re all for it! No matter which route you choose, we’re here to help. You’re a strong, independent woman and you can do whatever you want! We’re just here to make sure you’re happy with your treatment and end up with the sparkling, stunning, smile of your dreams.